The sprawling Hokkaido vistas demand the widescreen Toheiscope treatment, but the concerns of the local “Shamo” ethnic Japanese power brokers are strictly narrow-minded. 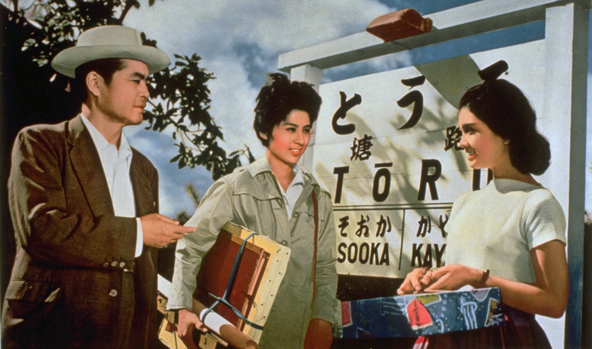 There is a truly unhealthy obsession over blood and genes in Tomu Uchida’s American western-inspired The Outsiders, which screens as part of MoMA’s ongoing retrospective of the major Japanese auteur. Ishitaro Kazamori, a.k.a. “Byakki the Phoenix,” is the Robin Hood of the northern Ainu villages. His sworn enemy is Takeshi Oiwa, the manager and heir apparent of his family’s fish-processing plant, who steadfastly refuses to hire Ainu workers. Kazamori knows his darkest secret—and possibly vice versa. 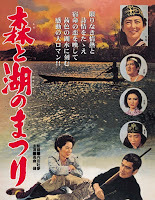 Eventually, tensions between the two men will boil over into violence, despite the best calming efforts of visiting artist Yoshiko Saeki, a landscape painter invited to Hokkaido by the sympathetic Shamo humanitarian, Dr. Ike. Initially, Kazamori resents her presumed dilettantism and cultural appropriation, but she is a fast learner. Soon, he starts to enjoy their random encounters. Saeki also forges a fast friendship with the fragile Ainu woman Mitsu, who was abandoned by her Shamo lover years ago. She seems to know everyone’s secrets, which partially explains her strange, platonic connection with Kazamori. All you really need to know about Kazamori is he is played by legendary Japanese movie tough guy Ken Takakura. 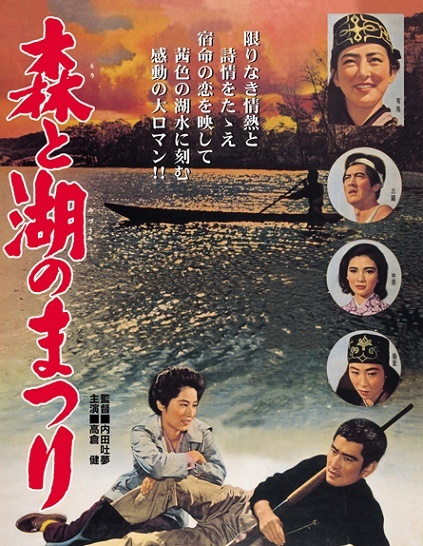 When he faces off against Rentarô Mikuni’s Oiwa, it is a lot like watching Lee Marvin mix it up with Robert Ryan. It is all square jaws and stone fists. Even by revisionist western standards, Outsiders is one seriously moody Eastern Western. It makes Heaven’s Gate look like a James Garner cowboy comedy. To Allied ears, all the talk of race and blood in 1958 film rings like an indictment of Axis Powers racialist theories and war crimes. The ending also conspicuously echoes the conclusion of George Stevens’ Shane (which released in America five years prior). Regardless, Takakura is brutally awesome as Kazamori, while Mayumi Fujisato’s sensitive portrayal of Mitsu provides the film its human center. Technically, Takakura hailed from Fukuoka in the south, but nobody questions him as the Ainu rabble-rouser. Frankly, most differences in accent and the like will be lost on western audiences, which arguably makes the racism it depicts look all the more arbitrary and absurd. Hardnosed and existential, The Outsiders is a big picture by any standard, so its relative obscurity in the West, along with the rest of Uchida’s oeuvre is absolutely mystifying. Recommended for fans of contemporary westerns in the spirit of John Sayles’ Lone Star, The Outsiders screens again next Friday (11/4), as part of MoMA’s Tomu Uchida retrospective.